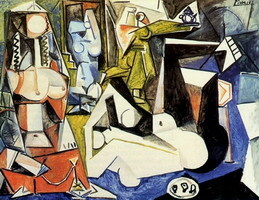 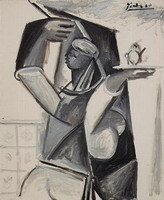 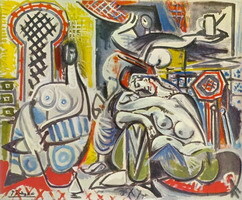 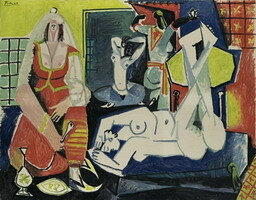 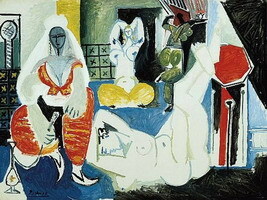 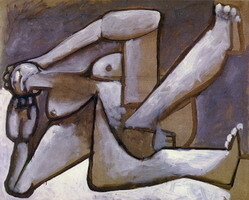 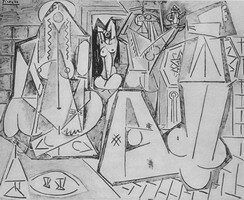 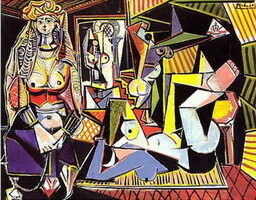 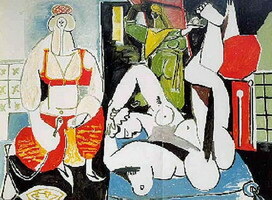 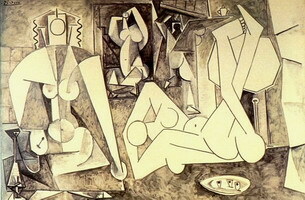 Picasso started his Les Femmes d'Alger ("Women of Algiers") series inspired by the art of Delacroix, immediately after the death of Henri Matisse, his friend and creative competitor. 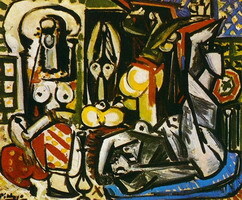 He kept on working on this specific dedication for two months. 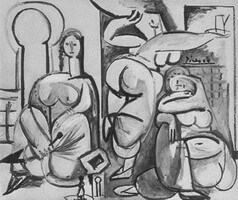 The result: more than 100 sketches and 15 oil paintings - versions from "A" to "O", the last of which, version "O", is the culmination and the final result of this whole series.